One of the most important things I can tell Dallas - Fort Worth dog moms and dads is that your dog does not need to be off-leash for you to have beautiful portraits of them! I pride myself on really, REALLY good leash removal so you can have confidence that your pup will be safe when we're photographing outside. I was thrilled when the week 15 theme of "Leash Removal" was announced for the Pet Photography 52 Week Project so read on to see how I've honed my skills over the years to get just the poses we want with a leash, and sometimes two, on a pet. That's a LOT of leash! We didn't really trust this pup's swimming abilities so thought it safer to keep him on a long line in case the river current was stronger than his swimming abilities; in the end we needn't worry. The client LOVED this image so that meant a LOT of leash removal! 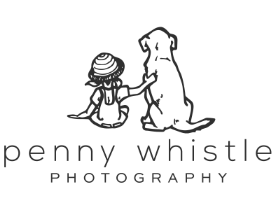 I can't wait to see what the other pet photographers have in store this week, so let's see what Ono Pet Photography in Fairhope, Alabama has removed and then continue clicking on the link at the bottom of each post for an around the world tour of dogs off leash (technically speaking!). Linda Perdue - You did a wonderful job! For sure the last leash removal was challenging but I love the way you pulled your blog post together for this week's theme. Kim Hollis - wow that last one was a lot of leash removal. nice job!